The UK’s Brexit minister has said the European Union (EU) “has a habit of spurning democratic votes” and claimed the bloc is fuelling the populist spring across the continent. 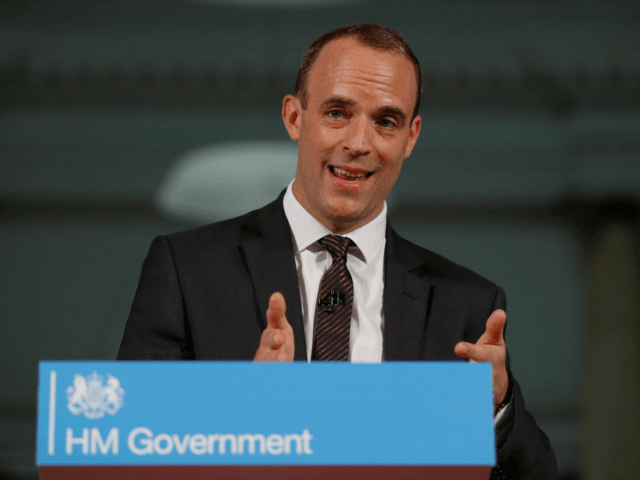 Dominic Raab’s remarks were a direct response to driving EU federalist Emmanuel Macron, the French President, who said last week that MPs who have been positive about Brexit and have spoken of benefits are “liars” and that other nations who decide to leave will suffer. Mr Macron dismissed the biggest vote in UK history as “driven” by untruths after the EU’s Salzburg summit last week, when the bloc’s leader also rejected Prime Minister Theresa May’s Brexit plan. Adding: “One thing that I would say though is that the EU has a habit of spurning democratic votes, whether in referendums in this country — and they’re trying to do that to some degree — or the rest of the EU. Populist movements have surged in countries like Italy, where the Five Star Movement and right-wing League parties are in government. The Swedish Democrats and Alternative for Germany (AfD) have also surged to become the third largest parties in their nations, as the EU has been accused of ignoring concerns about globalisation and national sovereignty. EU leaders have repeatedly said Britain should stay in the EU despite the referendum, with leaders of the 27 member states “almost unanimously” backing a second vote to block Brexit at the summit in Austria. In 2009, after a referendum in Ireland on adopting the EU’s Lisbon Treaty was defeated, the Irish people were forced to vote again on the same issue the following year because the EU did not like the answer they gave the first time.